Dinner has come and gone, but that oh-so-familiar beast we call Hunger has reeled its damn head again. I, too, struggle. I feels the exact temptations you feel, and resists the exact pulls you resist. As the owner of Live the Organic Life, I often need to remind myself not only to pursue a healthy lifestyle in order to fulfill the expectation of my title and my career, but for my optimal well-being. The secret is snacking. And I don’t mean digging around in a bag of chips and licking the salt off your fingers (we’ve all been there), I mean pouring yourself a bowl of organic nuts. Or blueberries. Or frozen peas. Be inventive, but clever about it. Choose the right food in moderation. 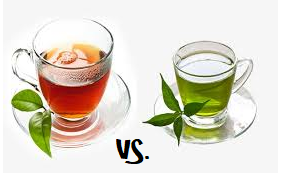 TO GET THE RED TEA RECIPE, PLEASE CLICK HERE TODAY!! Set yourself a challenge. I’ll be right there with you. Ditch the chips, the ice cream, and the guilty pleasure cheese blocks. Get the kettle bubbling and pour yourself a steaming mug of Red Tea. I guarantee – you will fall in love with the taste – and late night cravings will be a beast of the past.